As temperatures start to drop and we crank up the heating, it is time to start taking much better care of our skin. Every year, the cold and dry air we encounter during the winter time, together with boosted central heating can lead to increased dryness of your skin. This cold weather and dry skin can also aggravate a number of skin conditions such as eczema, psoriasis, cracked lips and Raynauds. 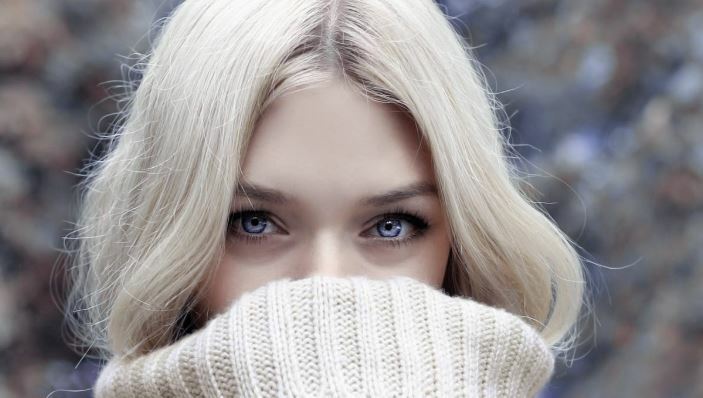 Leading Dermatologist Dr Daniel Glass, from The Dermatology Clinic London on Harley Street www.thedermatologyclinic.london sheds light on the most common winter skin problems and how to combat and treat them. It is common to find that people with pre-existing skin conditions, such as eczema may experience a flare up in the winter months, as the cold air outside and drying effects of central heating can really take their toll and dry out their skin. There is a particular form of eczema called Asteatotic eczema or winter eczema that can affect the legs, arms and hands and is more common as we get older. A characteristic ‘crazy‐paving’ pattern of this condition is observed on skin of the lower legs and the shins in particular. The mainstay of treatment for this condition is centred on the restoration of skin hydration by using a good moisturizer with petrolatum. There is also a type of psoriasis which is slightly more commonplace during the winter, called Gutatte psoriasis, when you develop multiple wide spread, very small red scaly patches scattered like rain drops across the skin. This type of psoriasis is often linked to the development of a streptococcal sore throat, which may explain why it is more common in the winter. Chill blains or perniosis are also more common during the winter months and tend to occur in the fingers and toes, as the cold weather constricts (narrows) the deeper blood vessels in the skin, whilst at the same time, smaller more superficial vessels in skin actually dilate (widen). This in turn produces the characteristic red /purple changes which can be painful and if severe may even blister or ulcerate. If you are susceptible to chilblains, prevention is key, so ensure you wear sufficiently warm clothing and keep your home and work environment warm. Seborrhoeic Dermatitis is closely related to dandruff as they are both caused by the same yeast (Malasezzia furfur) which lives on the skin. Up to half of the population have had dandruff at some point in their lives, whilst seborrhoeic dermatitis only affects up to 3% of the population. Sufferers of seborrhoeic dermatitis can experience red scaly skin on their cheeks, near their nose, in their eyebrows and also in their armpits. People with seborrhoeic dermatitis often report worsening of their rash in the winter months. For both conditions, I recommend washing with a shampoo containing selenium sulphide (Selsun) or ketoconazole (Nizoral) at least once per week in the winter months. You may also need to see your dermatologist for a suitable prescription to help improve the rash. Dry skin is one of the most common effects caused by the winter chill. As well as the cold winds causing dryness, indoor heating systems take a lot of the natural moisture from the air, which means that even when you are indoors, your skin is still unable to get away from the drying effects of winter. The best way to deal with this is regular use of a good moisturiser, which can be recommended by your dermatologist. Many people will suffer from chapped lips at some point during the winter. These can be effectively treated by gentle exfoliation to ensure you are removing any dry flaky skin from the surface of your lips and regular moisturising with a good quality lip moisturiser.